Well, you can start by asking the local experts, and some of these experts have been growing and cultivating here in the Bay Area since 1909! We rounded up some of our favorite garden centers and nurseries where you can find the perfect plants for your garden and your home. Happy planting! One of the Bay Area’s most popular garden centers, Annie’s specializes in rare and unusual plants, including cottage garden heirlooms and California native wildflowers. Alongside this impressive inventory of plants and garden necessities, the team also hosts parties throughout the season, including the Spring Planting Party, the Butterfly Summit, the Mother’s Day Soiree and the Fall Extravaganza. Bay Natives is a spacious garden center in San Francisco with easy parking and a huge inventory of California native plants. 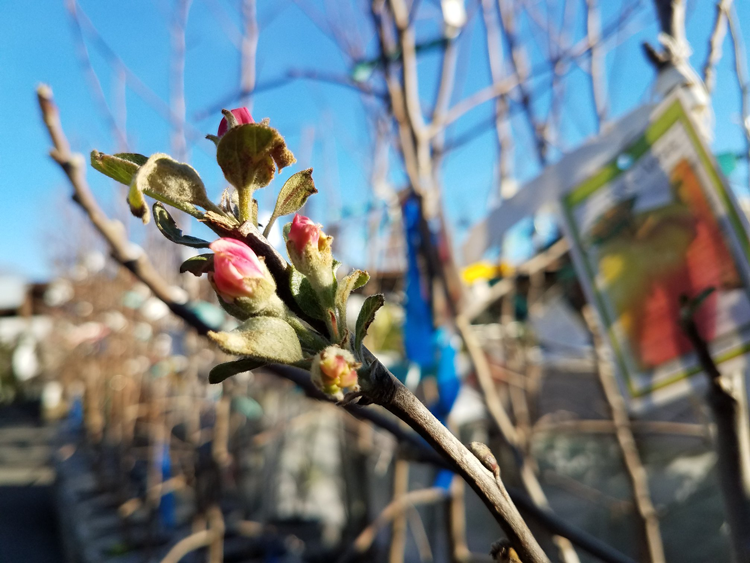 Available at different times throughout the year, they also offer fruit trees, vegetable starts, herbs, berries, houseplants, firewood, garden decor, seasonal pumpkins and Christmas trees! Stop by to shop, meet the chickens and see the City Grazing goats next door. The team at Berkeley Horticulture Nursery boasts almost an entire city block of trees, shrubs, flowers, vegetables, herbs, native plants and more. In addition to their on-site staff experts—who can help beginning gardens and old pros alike—their website offers gardening suggestions and a gardening calendar so you can be sure you’re planting at the right time of year. Check it out here. Cactus Jungle was founded in 2002 by owners Hap Hollibaugh and Peter Lipson who have been growing succulents and cacti in the Bay Area for more than 30 years. 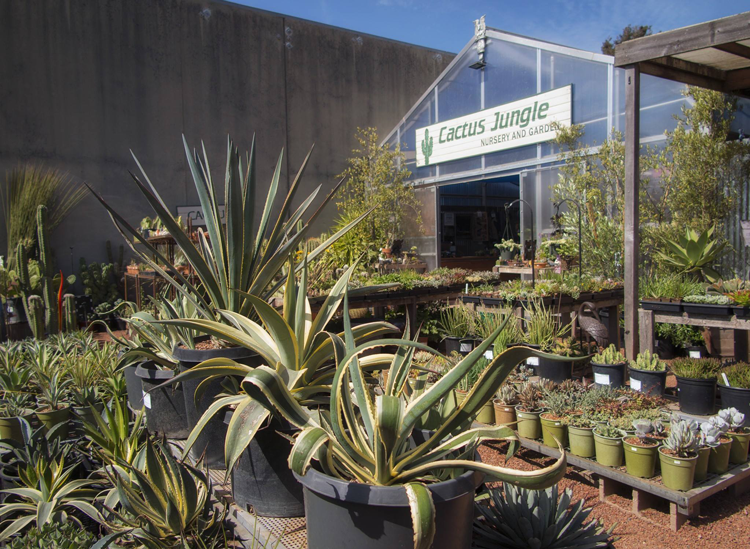 From their two locations—one in Berkeley and one in San Anselmo—they offer cacti and succulents, low-water grasses, summer-drought bamboos, California natives and more, which are grown both locally and around the world. A beloved nursery in Outer Richmond, Clement is San Francisco’s oldest nursery and it’s housed in the historic buildings of a 1904 dairy farm. Their inventory includes everything you need for a flourishing garden in California, from the plants to the bird baths. The Dry Garden opened in 1987 and has been a cornerstone of Bay Area gardeners ever since. Their expert and hyper-local team specializes in low water and drought tolerant plants, succulents and cacti, rare and unusual plants, and more—all things that will flourish in our varied Bay Area climates. Established in 1926 and family-owned since 1942, East Bay Nursery has grown to encompass half of a city block. Their enormous inventory features natives and drought tolerant plants from around the world, succulents, fruit trees, grasses, perennials, Japanese maples, shade plants, shrubs, trees, vegetable starts and pottery from around the world. And because the team only chooses products they would use in their own gardens, they’ve almost completely converted to organics. Whether you’re searching for native plants to flourish in your summer garden or a potted arrangement for your dinner table, Evergreen Nursery is the place to find it. Selected specifically to flourish in our unique micro-climates, their inventory of plants, tools and soils can turn any beginning gardener into a pro. And you have to stop in to check out their orchids! Flora Grubb Gardens offers one of the most beautiful garden centers in the city and they have a beautiful Ritual Coffee Roasters coffee shop inside, too! Along with their diverse inventory of native plants, baskets and arrangements, they also offer spots at The Potting Bench, where you can use their tools and supplies to make your own creation in the store—expert advice included. The Flowercraft story begins in 1974 when Floorcraft Home Improvement Center purchased a vacant car wash directly across the street. There, the team created a lush, gardener’s paradise on the edge of the industrial Bayview. Today, their inventory includes everything from Japanese maples to succulent arrangements and even Christmas trees during the holiday season! Green Jeans Garden Supply is a locally-owned nursery in Mill Valley who’s been helping everyone from backyard gardeners to professional landscapers since 1997. On their grounds, you’ll find an impressive lineup of plants that will thrive in our Bay Area climates, including perennials, trees, fruit trees, shrubs, vines, annuals, vegetable starts, edibles, natives, succulents, ground covers and even house plants, air plants and orchids. In addition, they offer only organic fertilizers, the least toxic pest control, and locally made furniture, art and containers. 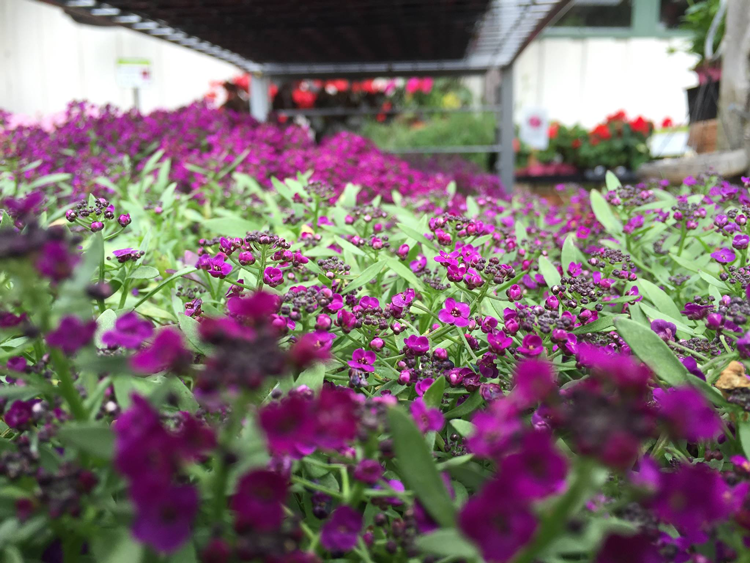 McDonnell Nursery is a family-run operation serving the East Bay community from their Orinda nursery since 1933. Gardeners looking for everything from annual flowers to permanent trees and shrubs will find beautiful specimens on the grounds—all sourced from trusted growers and suppliers throughout California and the West Coast. Sloat Garden Center, now a local chain flourishing in locations throughout the Bay Area, began as a small neighborhood plant nursery in the Sunset 1958. Now, they’re the Bay Area’s largest independent, locally-owned garden center with 14 locations in San Francisco, Marin and Contra Costa counties. In 1950, Rudy Wegman immigrated to the United States from Switzerland then opened Wegman’s Nursery with his wife on May 1, 1960. Today, the business is still family owned and operated, and they’ve accumulated more than 50 years of experience in Bay Area gardening, native plants and service. Their inventory includes plants that are seasonally appropriate and deer resistant, and they also offer a complete line of organic materials as well as delivery. Family owned since 1909, West End Nursery began as a neighborhood nursery serving the very community that Horticulturist and Founder Richard Lohrmann lived and worked in. 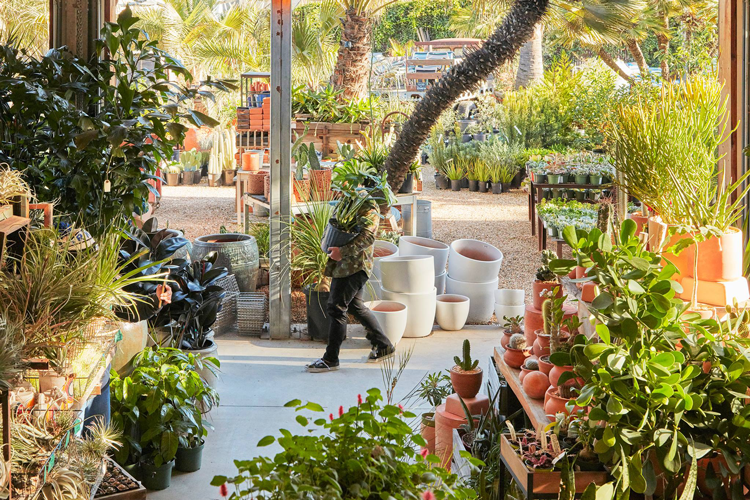 Today, this San Rafael staple has grown into one of the region’s best garden centers, where you can find plants sourced from only the best nurseries in California and Oregon. 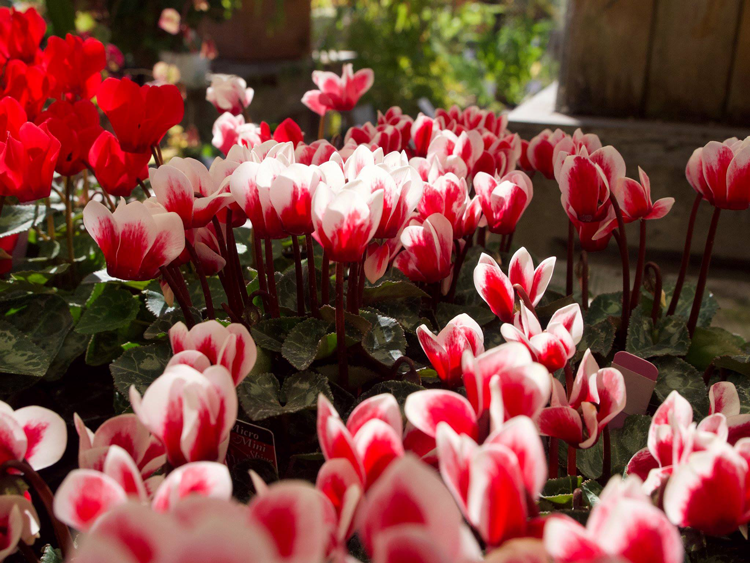 If you have a favorite Bay Area garden center or nursery, tell us about it in the comments below.